One of the delights of this area is the abundance of wild animals and birds. 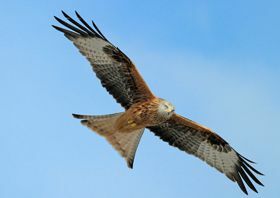 There are thousands of birds of prey - it's a testimony to the integrity of the ecosystem that there are so many of these predators, who are at the top of the food chain. 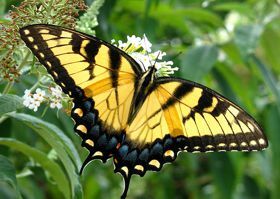 Herbicides and pesticides are generally not used so the area is teaming with life. 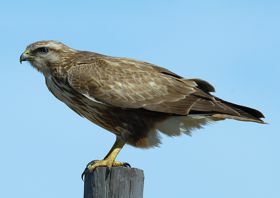 You will see buzzards, falcons, bustards, kites and sparrow hawks. Also there are storks, herons and egrets and many other species, depending upon the time of year. We obviously can't guarantee you'll see them all but you can be confident you will see a good selection. 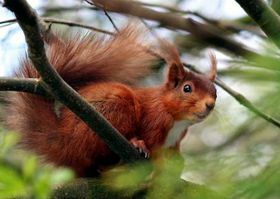 Mammals you are likely to see are red squirrels, coypu, polecats, beech martens and wild boar. That is of course in addition to the cows, sheep and deer that are everywhere. 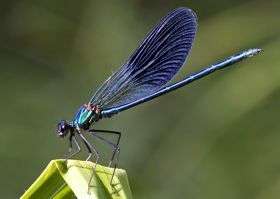 At the right time of year the countryside is bursting with wild flowers, butterflies, moths and damselflies. 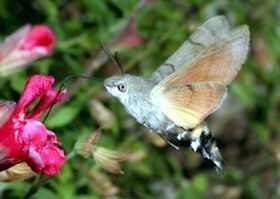 The tiny humming-bird hawk moth is common. 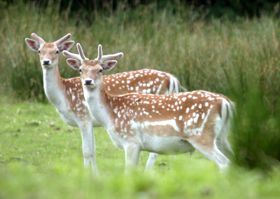 The countryside nearby is unspoilt and full of wildlife and birds. A very good friend of ours, Roy Croucher, has been giving fully illustrated wildlife talks since the 60's. After a number of years working on wildlife projects he was appointed Senior Countryside Ranger by Sandwell MBC in the Midlands and since 2002 he has run Northern France Wildlife Tours, based in Averton. 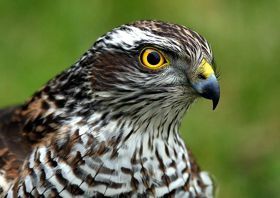 He has led birdwatching, wildlife and nature groups on tours of Britain, Europe, the Middle East and North Africa. 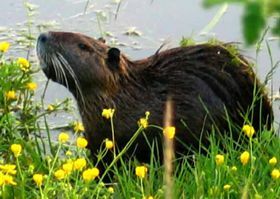 Roy is an acknowledged expert in his field and he is available to tailor a wildlife and nature tour to your own requirements at modest cost. There are no limits to the range and if you would like a trip to e.g. the Loire Valley, that can be arranged but equally if you just fancy seeing what is on your doorstep, whether forests, lakes or open countryside, Roy can organise that too. Please ask us for details or you can call Roy direct on 02 43 00 69 69. The price will depend on how far you would like to range, the number in your party and whether you would like lunch included (picnic or restaurant) but we can guarantee you a great day out with an interesting and expert guide. Please note it is not necessary to stay with them. 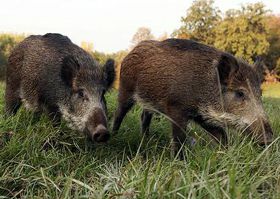 Although rarer and usually timid, there are wild boar in the forests. 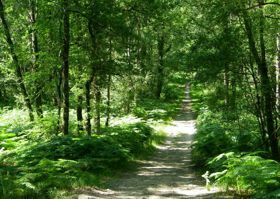 The forest near Sillé-le-Guillaume and especially Coco Plage are particularly delightful for walking and spotting wildlife. 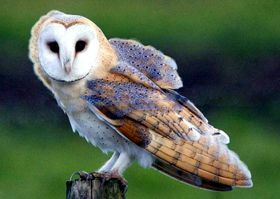 There are many species of owls around and some often live in our barns.